In previous article we presented you an artist who have found a way how to recycle the old wine corks and make gorgeous artworks. 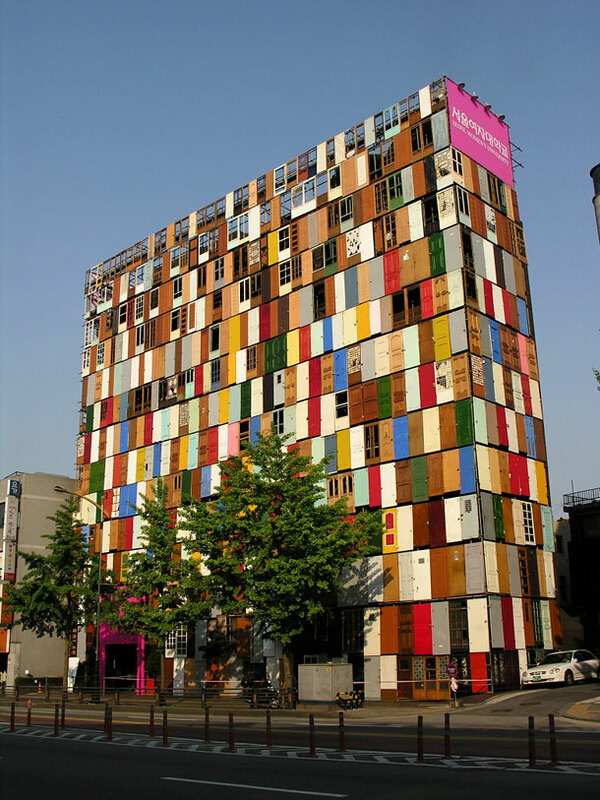 Here is an artist and designer from South Korea, who used a thousand old doors to make a strange building. 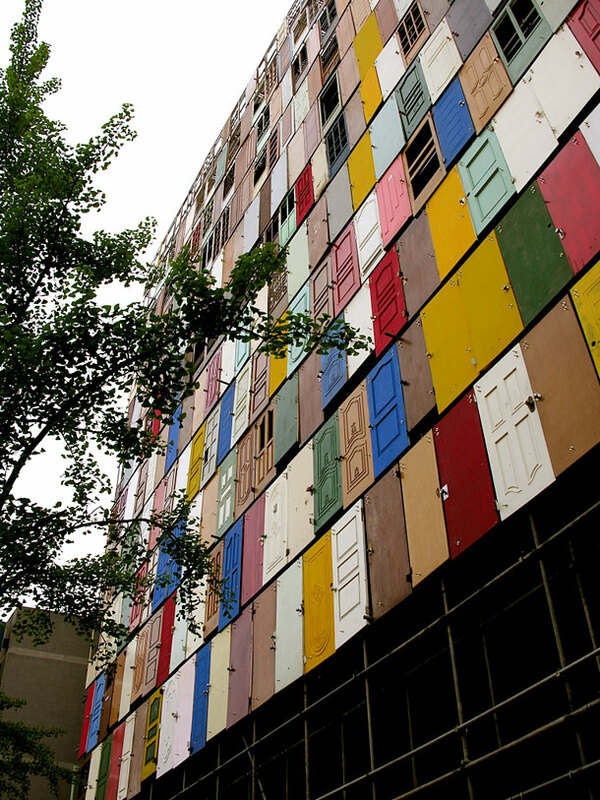 This brilliant public art installation called “Doors” was built in Soeul back in 2009. 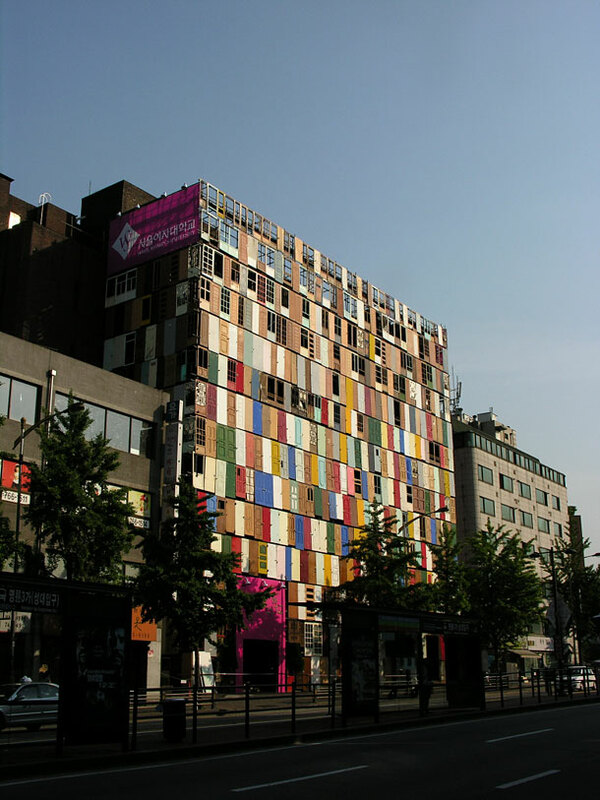 Using 1,000 recycled doors, Choi Jeong-Hwa transformed an otherwise nondescript, 10-storey facade into a eye-dazzling delight of colours and textures. 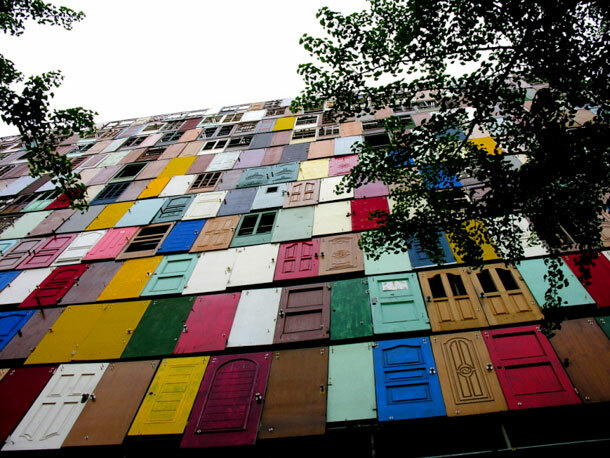 If you liked this article, feel free to share it with your friends and support us!